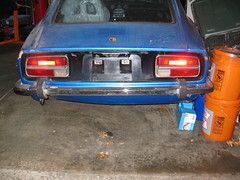 After class tonight I spent 30 minutes working on the Datsun. 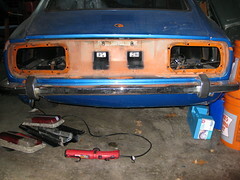 I removed the taillights, which I'd not done before. I was pleasantly surprised as I didn't find any rust.Here are the before and after photos.